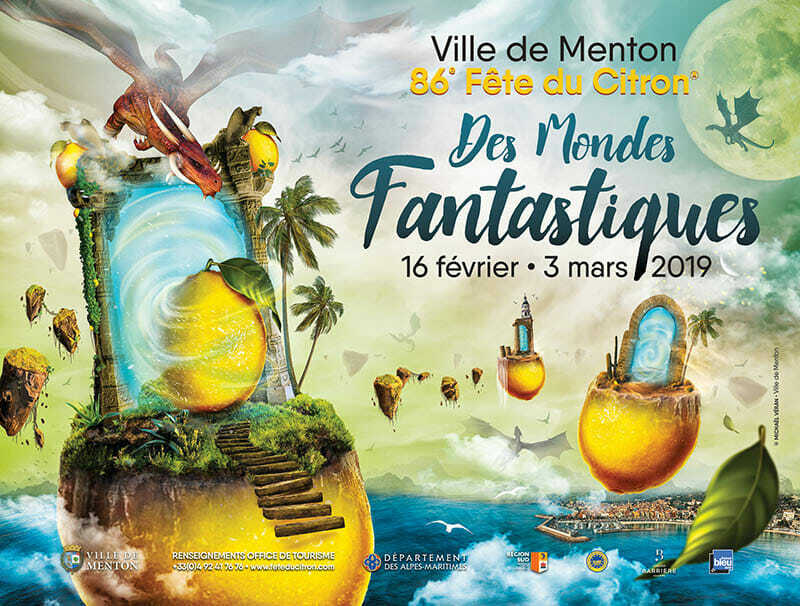 Lemon Festival on 16 February – 03 March 2019, a unique event in the world, attracts around 250,000 visitors every year — a number which is constantly rising. The festival has a fun twist: each year there is a new theme, making every edition a new experience. This year it is «Fantastic Worlds», a chance to plunge into fantasy worlds and nourish your imagination in the worlds of different fairy tales. With processions of floats, gardens of lights and the exhibition of giant designs, come and discover this fantasy world, and move to the rhythm of a simply unforgettable event. More than 300 professionals work on the project and 145 tons of citrus fruits are used. The festival, also known as the Carnival of Menton, is primarily a celebration of the simply unique Menton lemon with its elongated structure, richness in essential oils and incomparable taste.